Drum roll please! We are excited to present to you a poster from Georgia State University, Division of Respiratory Health (and check out the great the skeleton image)! Background: Lesbian, gay, bisexual, and transgender (LGBT) people are increasingly aware that disproportionately high smoking rates severely impact the health of their communities. Motivated to make change, a group of LGBT community members, policy makers, and researchers from Atlanta carried out a community-based participatory research project. 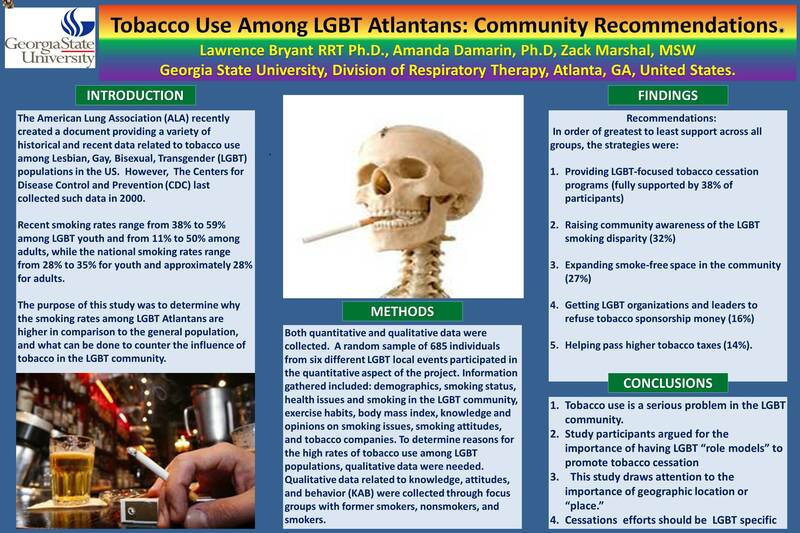 Objectives: The research sought to identify recommendations for culturally relevant smoking prevention and cessation interventions that could improve the health of Atlanta’s LGBT communities. Methods: Incorporating a mixed-method approach, the project included four focus groups with 36 participants, a 20-item questionnaire completed by 685 people, and a community meeting with 30 participants. Results: Among participants, the most favored interventions were: providing LGBT-specific cessation programs, raising awareness about LGBT smoking rates, and getting community venues to go smoke-free. 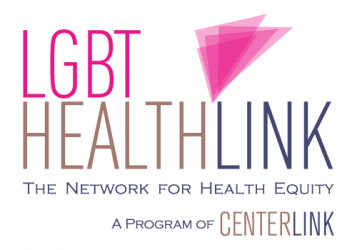 Participants also suggested providing reduced-cost cessation products for low-income individuals, using LGBT “role models” to promote cessation, and ensuring that interventions reach all parts of the community. Conclusions: Findings reinforce insights from community-based research with other marginalized communities. Similarities include the importance of tailoring cessation programs for specific communities, the need to acknowledge differences within these communities, and the significance of community spaces such as bars in shaping discussion of cessation. At the level of practice, this study highlights the need for heightened awareness. More specifically, the Atlanta LGBT community is largely unaware that high smoking rates affect its health, and is unlikely to take collective action to address the problem until the community understands the negative health impact.